In the early 1970s, National Geographic ran an extensive series of articles investigating claims of long-lived people around the world. The Hunza people, who lived in the Hunza Valley in Northern Pakistan, were one of those peoples. They became fascinating case studies of the unique region in which they live. 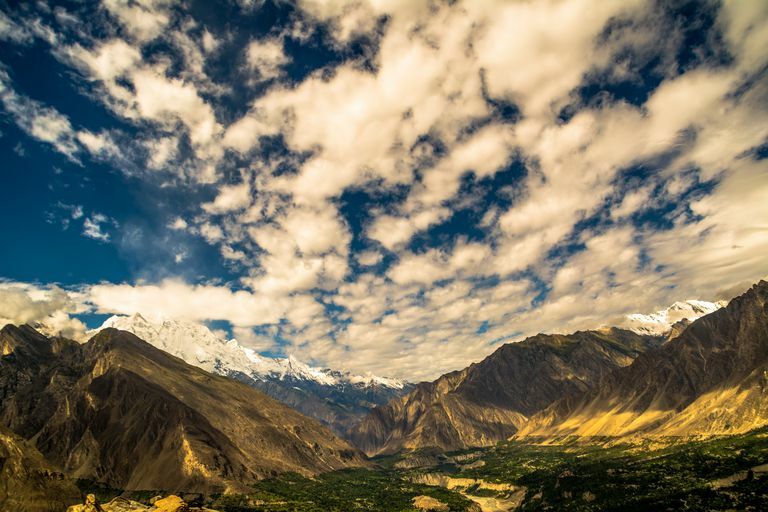 The Hunza Valley is a fertile valley that supports agriculture and provides isolation from the rest of the world, and it's also located at a very high altitude. The region, with its breathtaking year-round scenery and second to none hospitality was a popular, off-the-grid destination for American and European backpackers in the 1990s, but the aftermath of September 11 pretty much eliminated tourism. Today, it's an idyllic, utopian environment of sorts. In fact, some say that the Hunza Valley is the basis for Shangri La in the 1933 novel "Lost Horizon." No one really knows how long the Hunza people live. Physicians examined the Hunza and made their best guesses to how old the people were. Without focusing too much on documented maximum age, the truly extraordinary fact is that all reports of the Hunza mention that the elderly population is fit, full of vitality and virtually free from disease, which still holds true to this day. In short, exercise. The environment in which the Hunza live is mountainous and has extremely rough terrain. The villages are incredibly isolated and built into the cliffside; some villages are more than 1,000 years old. Hunza people have no choice but to navigate the rough passages and steep ridges. Farmable land also isn't always located directly next to the home. Some pastures are a two-hour trek from the village. The Hunza are said to be heartier than the famously strong Sherpa people of the Himalayan region. Hunzas consume a mostly plant-based diet, eaten raw. Because they are so isolated, the Hunza do not have access to a large amount of fuel for cooking food, nor are there many animals available for eating, so they plant what they can and gather the rest. Apricots, cherries, grapes, plums, and peaches are all cultivated by the Hunza. They also eat a lot of grains — wheat, barley, and millet — and chapati, their daily bread. Absolutely. In fact, some researchers have called the Hunza the happiest people on Earth. The Hunza have a certain passion and zest for life, perhaps brought on to some extent by their daily rigorous exercise and simple lifestyle. Robbins, John. "Healthy at 100." 2007.